The shock protection system is widely used in mechanical watches, a key part. 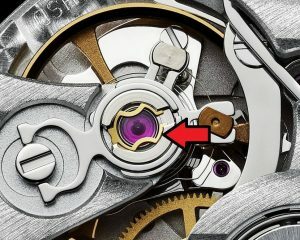 It protects the wheel’s delicate pivots from damage in the event of physical shock, such as if the watch is dropped. Its performance is limited, and it may be broken if the watch was damaged by violent shock. In addition, the shock also causes the disorder of hair spring and the damage of other components and parts. Parachute Susrension is the earliest shock protection system, made by Abraham-Louis Breguet. The bearing was shortened and changed into cone, fixing the concave shaft block. The central spindle will be deviated from the center under the shock, but it isn’t easy to be broken. It was invented in 1934 by Swiss engineers Georges Braunschweig and Fritz Marti, at Universal Escapements, Ltd, of La Chaux-de-Fonds, Switzerland. It is manufactured by Incabloc, S.A. The Incabloc system uses a “lyre-shaped” spring to allow the delicate bearings to shift in their settings under impact, until a stronger shoulder of the staff contacts the strong metal endpiece, so that the pivots and bearings don’t have to bear the force of the impact. When the impact is over, the springs guide the parts back to their original positions. It’s widely used in Swiss-made mechanical watches. Many of ETA movements are equipped with Incabloc shock protection system. Some of top watch brands adopt it as well, such as A. Lange & Söhne, Glashütte Original and Patek Philippe. After World War II, it nearly occupied the watchmaking market, even it required watchmakers to engrave “Incabloc” on the dial. Rolex rejected the requirement,so it has been favoring KIF since then. KIF is the name of the company that produces anti-shock systems. KIF was developed in the 1930’s. 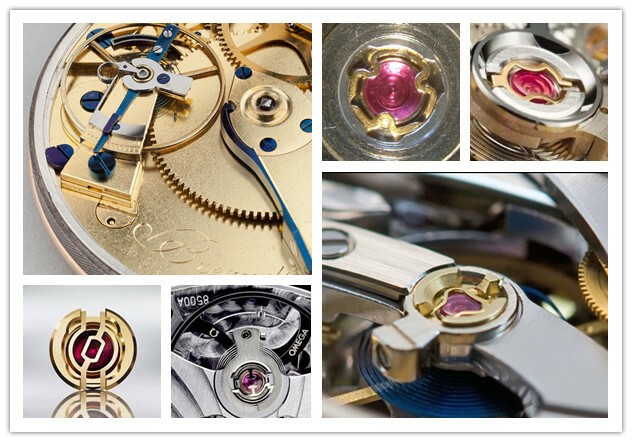 KIF has started producing components and parts of clocks and wristwatches since 1944. Its products are adopted by top and luxury watch brands, reflecting its professional capability. 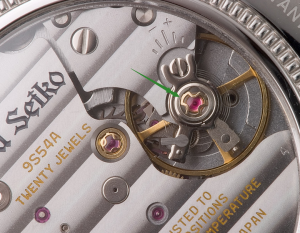 KIF shock absorber system prevents a watch balance staff from breaking by allowing it to move slightly, both laterally and vertically, using a spring-mounted jewel setting. Kif can be recognized by the golden 3-leaf or 4-leaf clover shaped spring clip around a ruby at the top of the balance. 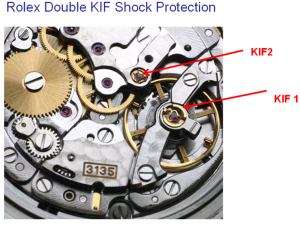 In fact, KIF and Incabloc have similar performance, but top or luxury brands prefer KIF. 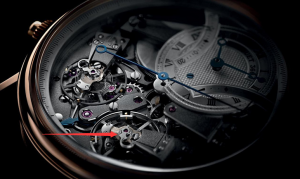 I think high-end in-house movements with KIF distances themselves from ETA movements with Incabloc. Etashoc shock protection system is the cheapest model, a tailor-made model according to ETA. The early ETA 2836 and ETA 2824 were equipped with Etashoc. Tissot and Nido entry-level watches use the Etashoc. Its weakness is that its bearing is thicker than Incabloc, so the movement with Etashoc shock protection system is less accurate. It’s widely used in affordable watches. It’s mentioned that Rolex has been favoring KIF since 1940s.Rolex refuses to attach itself to other companies on watch manufacturing and innovation for long term. 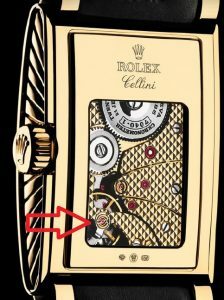 Rolex ended the relationship with KIF in 2005, but it still favors KIF. Paraflex was developed by Rolex independently, more complicated than Incabloc and KIF. It increases 50% anti-shock performance by KIF and lengthens the service life of the movement. Calibre 3131, calibre 3135, calibre 3555 and calibre 3186 are equipped with KIF, and the new models including calibre 3132, calibre 3136, calibre 3156, calibre 3187 and calibre 9001 comes with Paraflex. 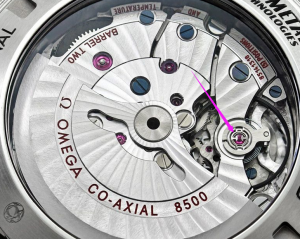 After Rolex developed Paraflex shock protection system independently, Breguet, a member of Swatch group, published Nivachoc shock absorber system in 2006. It’s used in Breguet calibre 777Q in the beginning. Now Omega, Longines, and Rado use Nivachoc.